A simple path to accelerated core solvers, providing up to 10x acceleration in the computationally intense linear solver portion of simulations, and is very well suited for implicit unstructured methods. NVIDIA cuDNN is a GPU-accelerated library of primitives for deep neural networks, it is designed to be integrated into higher-level machine learning frameworks. NVIDIA CUDA Fast Fourier Transform Library (cuFFT) provides a simple interface for computing FFTs up to 10x faster, without having to develop your own custom GPU FFT implementation. cuBLAS-XT is a set of routines which accelerate Level 3 BLAS (Basic Linear Algebra Subroutine) calls by spreading work across more than one GPU. 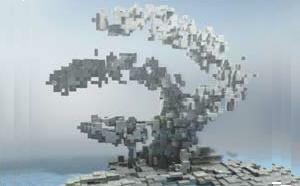 NVIDIA Performance Primitives is a GPU accelerated library with a very large collection of 1000's of image processing primitives and signal processing primitives. GPU-accelerated CHOLMOD is part of the SuiteSparse linear algebra package by Prof. Tim Davis. SuiteSparse is used extensively throughout industry and academia. GPU-accelerated linear algebra library by EM Photonics, that utilizes CUDA to dramatically improve the computation speed of sophisticated mathematics. A collection of next gen linear algebra routines. 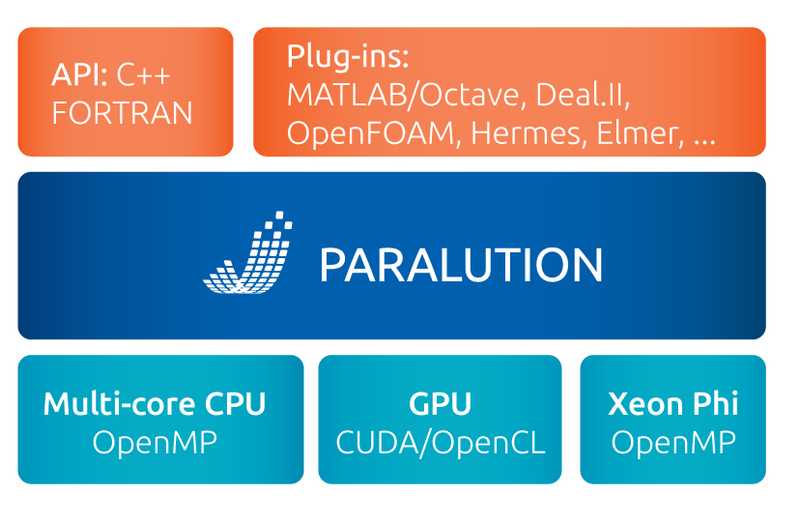 Designed for heterogeneous GPU-based architectures. Supports current LAPACK and BLAS standards. Developed by RogueWave, a comprehensive set of mathematical and statistical functions that offloads work to GPUs. NVIDIA CUDA Sparse (cuSPARSE) Matrix library provides a collection of basic linear algebra subroutines used for sparse matrices that delivers over 8x performance boost. NVIDIA CUDA BLAS Library (cuBLAS) is a GPU-accelerated version of the complete standard BLAS library that delivers 6x to 17x faster performance than the latest MKL BLAS. Comprehensive, open source GPU function library. 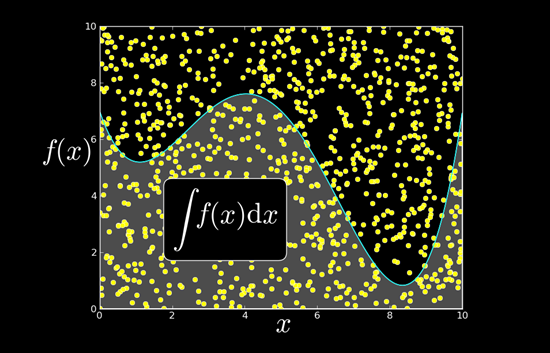 Includes functions for math, signal and image processing, statistics, and many more. Interfaces for C, C++, Java, R and Fortran. The CUDA Random Number Generation library performs high quality GPU-accelerated random number generation (RNG) over 8x faster than typical CPU only code. An industry proven, highly accurate collection of standard mathematical functions, providing high performance on NVIDIA GPUs. A powerful, open source library of parallel algorithms and data structures. Perform GPU-accelerated sort, scan, transform, and reductions with just a few lines of code. A GPU-accelerated C++ framework for High-Throughput Sequence Analysis for both short and long read alignment. Accelerate video performance with this complete set of NVIDIA video codec tools, which includes the NVENC H.264 hardware encoding API as well as NVCUVID CUDA decoding API. HiPLAR (High Performance Linear Algebra in R) delivers high performance linear algebra (LA) routines for the R platform for statistical computing using the latest software libraries for heterogeneous architectures. GPP is a computational geometry engine that is optimized for GPU acceleration, and can be used in advanced Graphical Information Systems (GIS), Electronic Design Automation (EDA), computer vision, and motion planning solutions. A library for sparse iterative methods with special focus on multi-core and accelerator technology such as GPUs. Triton provides real-time visual simulation of the ocean and bodies of water for games, simulation, and training applications.